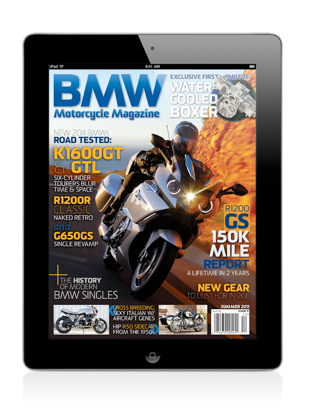 BMW Motorcycle Magazine is a unique publication featuring the best content about the ultimate brand of motorcycles. Our app features the same quality content of the print magazine along with videos, slideshows, photo galleries, supplemental text and interactive extras. Integrated with the iOS Newsstand for automatic downloading of the new issues in your subscription, and one-stop viewing of all your magazines and newspapers. Purchase a one year subscription and back issues within the app. Subscribe and receive a free complimentary download of the current issue! Supports additional videos, photo galleries, and supplemental text served remotely or locally. 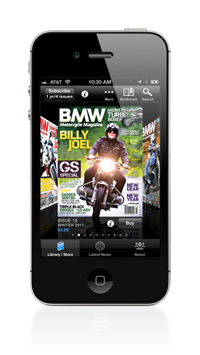 Currently BMW Motorcycle Magazine is supported on the iPad, the iPhone (3GS or newer), and the iPod Touch (3rd generation or newer). If you enjoy the app please consider rating and/or writing a review in iTunes, here.